This light amber coloured Rum has light, fruity aromas and a very smooth, rich flavour. It tastes of vanilla, honey and candied fruits. 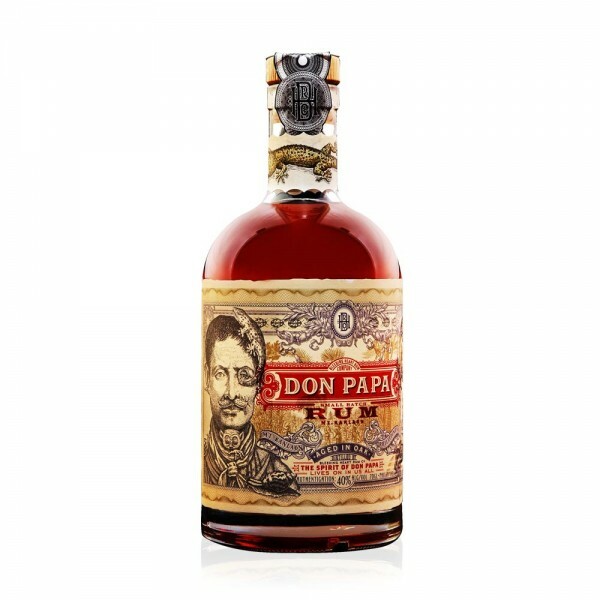 Distilled from some of the finest sugar cane in the world, Don Papa is aged for seven years in oak barrels, before being blended. Negros Occidental is the sugar capital of the Philippines. Its climate and rich volcanic soil are the ideal growing conditions for sugar cane. Don Papa Rum was inspired by the story of an unsung hero of the Philippine revolution: Dionisio Magbuelas, known locally as "Papa" Isio. Initially a foreman at a sugar plantation, Papa Isio - healer, shaman, rebel and leader - played a key role during the late 19th-century Philippine Revolution. His charisma and leadership played a critical role in freeing Negros Occidental from Spanish rule and gaining independence for the island. Shake all ingredients but the mint together, fine strain into a martini glass and finish with the mint.